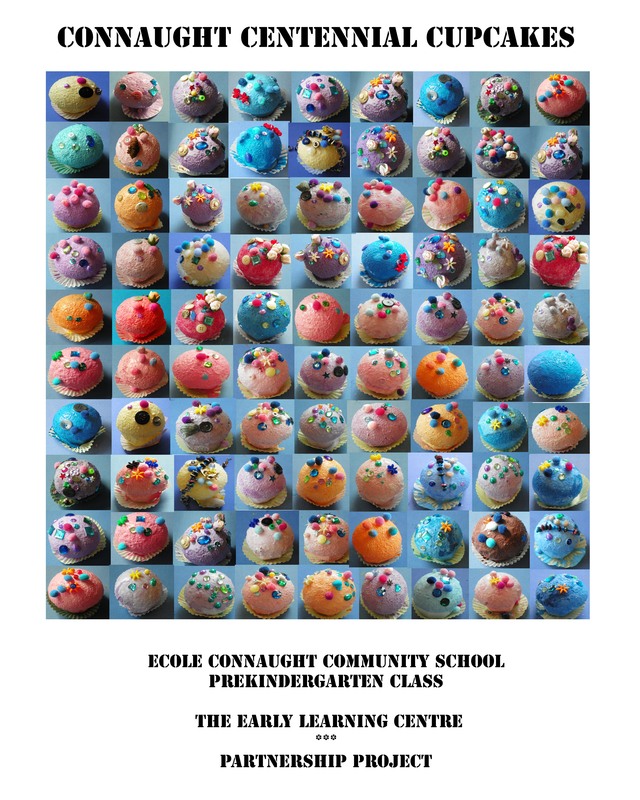 The project was a partnership between Ecole Connaught Community School, The Early Learning Centre, Connaught Centennial Committee, Gerri Ann Siwek and Janine Windolph. Gerri Ann was the main artist working with students making cupcakes over the span of one day at the Early Learning Centre. Janine assisted Gerri Ann on this day, photographed the students cupcakes and made a poster on photoshop. Together they want to honor the 100th Celebration of Connaughts history in Regina as a community school!